It can be very difficult to get French Laundry reservations. In fact, The French Laundry is often named in the list of top ten most difficult restaurant reservations to book in the world. This 3 Michelin-starred Thomas Keller restaurant in Yountville, California is one of the most exclusive in Napa Valley. 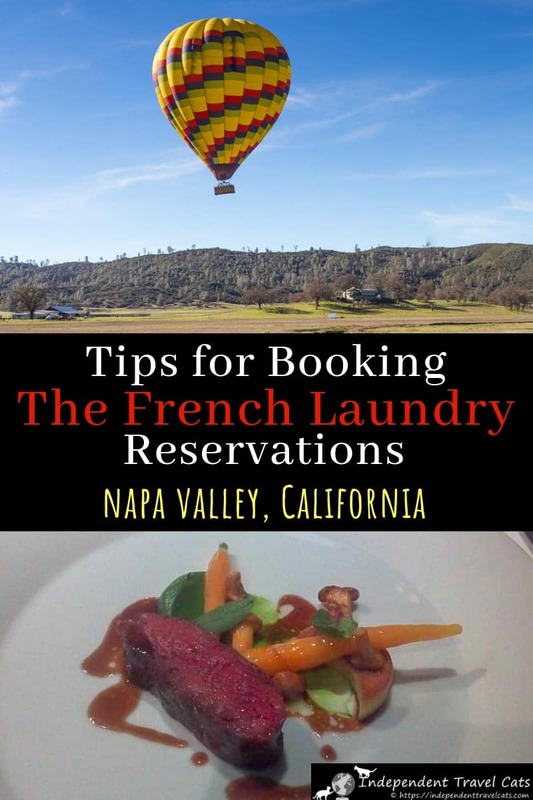 However, this article will give you the facts on how to book a reservation at The French Laundry and tips on how to increase your odds of making a reservation based on our experience and from asking the staff at The French Laundry. So normally, making a restaurant reservation involves simply calling the restaurant or making a quick online reservation request. Generally you can do this a week or less in advance and boom you have a table.Things are not so easy at The French Laundry. It takes a bit of planning to ensure you get a reservation on your preferred date and time. There’s also winter and summer closure breaks, white truffle season, and summer tourists to take into consideration. But things are not hopeless, read on for our tips to help you make French Laundry reservations. We ate at The French Laundry as part of a surprise anniversary dinner. I used this as an opportunity to get tips from staff members on how best to make reservations for our blog readers. We’ve since updated those tips with recent changes which have included renovations to the restaurant as well as significant changes to their booking system and their reservation policies. The French Laundry is a three-Michelin starred restaurant service French-inspired American food. Thomas Keller is head chef. Restaurant address: 6640 Washington St, Yountville, CA 94599. Their main phone number is 707-944-2380. They are open seven nights a week for dinner and also service lunch on Friday-Sunday. They typically close for 1-2 weeks each Winter and Summer. They serve dinner from 5:00pm to 8:45pm., and lunch Friday, Saturday, and Sunday from 11:00am to 12:30pm. There are 62 seats in the dining room. These seats are the ones that become available two months to the date. They are able to accommodate 1 to 7 persons per table in the main dining room. For groups, there are two private dining rooms available that can each accommodate between 6 to 12 guests. In the warmer months, there is also one outdoor courtyard table that can accommodate 8-14 guests who wish to dine al fresco. Groups may also book out the full dining room for a private party. For private dining and group pricing and information you can call them at 707-944-0456. Until recently there were three main options for making a reservation at The French Laundry, which included calling them directly, booking a table online through OpenTable, or using a concierge service to help book by phone. However, things have changed a lot recently, and all bookings are now done online (with the exception of private events) via Tock. Important Note: Reservations are no longer taken by phone! You can not make a reservation (expect for larger private or special events), change a reservation, or join a waitlist by phone. You have to do it via the online system. The French Laundry has moved to only taking reservations online using Tock. You can make an online reservation here. I would sign up to Tock ahead of time if you are not already a registered user as you will need to sign up to make a reservation. You need to book at least 2 to 4 months in advance for best chance to getting a table. Available tables are currently released every 1st day of every odd numbered month (January, March, May, July, September, and November) at 10:00 A.M. (PST), 2 months at a time. So for example tables are released on January 1st for those wanting to book from March 1st through April 30th and tables will be released on May 1st for July 1st through August 31st. The Tock site is helpful as it shows in the sidebar of the website information about booking dates and when the next release will be (e.g., “Now booking through December 31, 2018”). The new tables go online at 10am PST. Translate this time to your own time zone (e.g., 1:00pm in EST) and mark this on your calendar. Have your credit card information handy. You have to pre-pay for your reservations. If the system shows all the tables are booked, add yourself to the online Waitlist and you’ll be notified when and if a table becomes available for your chosen date(s). If you have access to a concierge service through your credit card or bank (e.g., American Express, Visa Signature Concierge Service, American Express Platinum Concierge Services), I would call them and ask to see if they can help you get a reservation. This strategy worked well back when the restaurant booked most of its tables via phone, but is likely much less effective now that it requires you to book via an online booking system. But you can still call to ask to see if they can help and be sure to explain how the booking system works. In order for them to make the booking, you will need to entrust the concierge service with your personal information and credit card info. Make sure the concierge service has your credit card info and that you authorize them to give out your information as Tock and The French Laundry will need this information to hold the reservation. The great thing about the concierge services is they may have a better chance than you of getting a reservation and you don’t have to do anything further. However, the downside is that you have little control over the process and you are left waiting to see if they are successful or not. If there are reservations left online for the The French Laundry, don’t give up all hope as there is still a chance you can still score a reservation. Also if you need to cancel or transfer a TFL reservation, but don’t know anyone who wants it, you can still find someone. Keep checking back periodically on Tock as people’s plans change and tables will often come open. If you are in the Napa area already, keep checking online the day before or the day of your visit as people sometimes have to cancel reservations last minute and you may be able to scoop a table. Make sure you are on the online waiting list. You need to add your name on the Waitlist through the Tock software. 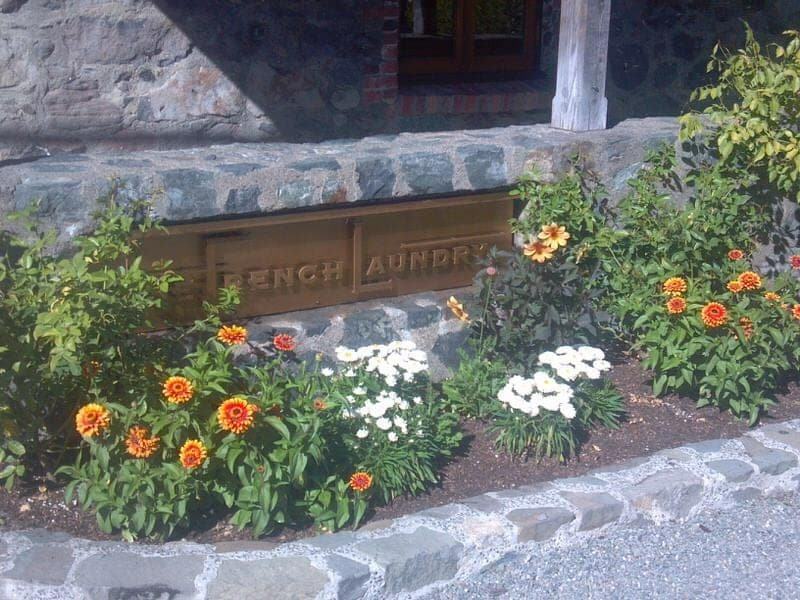 The French Laundry has a very strict cancellation policy. It used to be that there was a USD $100 cancellation fee per booking; however, that policy has changed. All bookings are non-refundable and cannot be canceled. However, you are able to sell the booking to someone or transfer the booking to another person as a whole reservation online within the Tock system. Check the Comments section at the bottom of this article as people who are interested in transferring their reservations often post that they have or need a reservation. If there is a reservation that matches your dates, you can contact that person directly. Or if not, you can leave your own comment saying you are looking for a reservation (be sure to leave a contact email and/or phone number). Note that if you plan to transfer a reservation, be sure to do it through the Tock system. If you are also paying a finder’s fee (a price beyond the original price of the reservation), you’ll need to do this outside of the Tock system. Be cautious, and use your good judgement on the best way to do this. If you score a TFL reservation using our tips or via our Comments section, let us know about it. Our Comments section on this article has become a dining matchmaking service and we love success stories! Be prepared and do your planning. Those who plan in advance are much more likely to get reservations. Call or check their website for their upcoming closing or renovation dates. Generally, The French Laundry closes twice a year for 1-2 weeks in both Winter and Summer although it was closed more often in recent years during extensive kitchen renovations. Figuring out these dates in advance, can save you a lot of time since it will be impossible to dine here during their closures. Similarly, you can also call and check to make sure the restaurant is not being booked for private party on your desired date. Be flexible with your dates. This will greatly increase your chance of getting a reservation. Try for weekdays instead of weekends. Be flexible about when you can dine. Most people want the coveted middle dinner seating, but be open to the early and late times as well. We ate at the early 5:30pm seating and the food was still wonderful, we just planned accordingly and didn’t eat much for lunch. Lunch reservations are easier to get than dinner. The French Laundry serves dinner 7 nights a week when open, but also serves lunch on Fridays, Saturdays, and Sundays. The menu is still the same! Best time of year to try for French Laundry reservations according to staff at the restaurant are February through the beginning of May as this is a slow time for tourism in Napa Valley. The most difficult times of year for getting French Laundry reservations according to staff are during white truffle season (October and November), and during the summer months (mid May through end of August). The staff also noted that right before or after a closure (they normally close for one week or so in the Winter and Summer) is typically quite busy as well. All bookings are non-refundable and cannot be canceled. Be sure to check the latest cancellation guidelines before booking. If you do need to cancel, be sure to do so as early as possible to be able to have a good chance of selling your reservation to someone else. If you need to cancel your reservation, you can transfer it thorough Tock online at any time. You can gift or sell your reservation for any amount up to the original purchase price to another person. To transfer a reservation, you need to log into your Tock profile and complete the transfer through there. If it don’t know of someone looking for a reservation, try posting online (such as our Comments section at the end of the article) to see if you can find some other diners looking for reservations that can take your place. 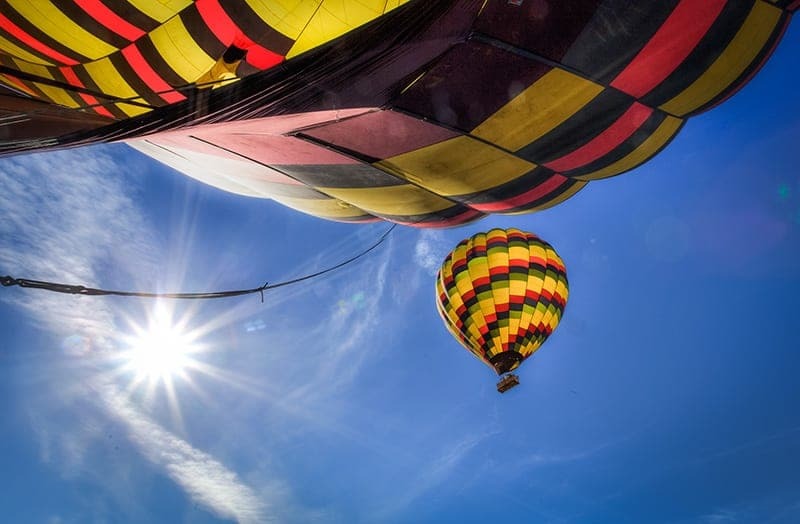 Be sure to leave the date and time of your reservation, number of seats, contact information (phone number and/or email), and any other pertinent details. Comments left without contact information will be deleted. If it is last minute and you are in Napa, ask if your hotel might help you by calling around to see if there are other visitors who have been trying to get reservations. After a big evening meal and a few glasses of wine, you are not going to want to have to drive far to get home. In fact, if you and your dining partners are planning to drink, you’ll probably need to call a taxi. Or better yet, choose a place that you can simply walk to after dinner! We’d definitely recommend staying in Yountville on the night of your reservation so you can just enjoy a short and leisurely walk home afterwards. You can compare and book Yountville hotel options or check the wider Napa Valley hotel options here. Bardessonno Hotel & Spa – A 5-star hotel that includes a full-service restaurant, bar, spa, rooftop pool, and free bicycle rentals. Spacious guest suites come with private balconies, fireplaces and sofas. Hotel is located only a 7 minute walk from The French Laundry. Vintage House – A 4-star country-style house hotel featuring a spa, swimming pool, breakfast buffet, fitness center, and restaurant. Rooms include hot tubs, a balcony or patio, and fireplaces. The Vintage House is located only a 2 minute walk from The French Laundry restaurant. Hotel Yountville – This 5-star hotel features a restaurant with a wood burning fireplace, a bar, a spa, an outdoor swimming pool, a business center, and free bike rentals. Guest rooms include modern decor, bathrobes, minibar, and private patios. A 13 minute walk from The French Laundry, or a 3 minute drive. Poetry Inn – This 5-star property offers a seasonal outdoor pool, hot tub, spa treatment rooms, a 3-course breakfast, and turn down service. Rooms includes fireplaces, soaking tubs, and balconies with views of the beautiful Mayacamas mountains. A 7 minute drive from The French Laundry. Auberge du Soleil – This 5-star luxury resort sits within an olive grove and includes an outdoor pool, full-service spa, complimentary fitness classes, fine dining restaurant, and bar. Rooms include fireplaces, balconies or patios, soaking tubs, and living room areas. Auberge du Soleil is located 14 minute drive from The French Laundry. is located 14 minute drive from The French Laundry. Calistoga Ranch – This 5-star rustic luxury resort is one of the best known and expensive properties in the area. The lodging sits within a 157 acre ranch and features a swimming pool, restaurant, fitness center, and free bicycle rentals. Rooms include fireplaces, spa toiletries, and outdoor rain showers. Calistoga Ranch is located 25 minutes by car from The French Laundry. OK, so there you go! A comprehensive guide to how to make French Laundry reservations if you ever choose to do so. Have you ever booked reservations to The French Laundry? If you have more tips, updated information, or advice for booking reservations, please let us know. Also, you can read about our dining experience in our The French Laundry review dining experience (including loads of pics) and also check out our guide to things to do in Napa besides drink wine. Looking for a reservation for 2 on 5/3, 5/4, or 5/5! I’m celebrating my 30th birthday and would love to have a chance to go here! Please feel free to email me k.higginbotham89@gmail.com or text 314.753.3999. Thank you! If there are any larger parties that would want to join forces, there are a few private dining options still open on those dates- we’d be open to that, too! Looking for a table for 2 people !! Hi. I’m looking for a dinner reservation for party of 2 either 6/28, 6/29, or 6/30. I can be reached at lisa.sorani@gmail.com It’s a 20th wedding anniversary. Cheers. Hello! Looking for reservations for 2 on Saturday April 20th. email is sophiahhansen@gmail.com Thanks! Looking for a reservation for 2 on either 16 or 17 May. Please email wigsandgowns@hotmail.com. Thank you. Thanks very much for making the effort to do this. Very helpful. I have a funny problem. We will be in SF for our 50th anniversary over Labor Day weekend from August 30th through September 3rd (arriving Friday, leaving Tuesday). If I’m understanding, that means that there will be a block of tables opening on July 1st that will be available through August 31st but the September dates (September 1st through October 31st) won’t become available until September 1st. I can’t imaging we’d have a very good chance of getting a reservation for September 1st on September 1st. Am I correctly understanding how this works? You almost have it – it is confusing 😉 You should first look on May 1st (not July 1st) and if you are not lucky for the August dates you can try on July 1st. So tables on Tock should be released on May 1st for July 1st through August 31st. Then on July 1st for September 1st to October 31st. I think it would be nice if when a long weekend falls at the end of a reservation period, the Tock calendar were smart enough to extend a few days as well. For instance, this Labor Day weekend, Friday August 31st through Monday, September 2nd. As it stands, I can try for a reservation on the 31st, but if I can’t get one, I then have to wait two months to try to get one on the very next day, September 1st. Should I score a reservation, I will suggest that they look into making that change. Thanks again for a very useful web site. We have decided to head to France for our 30th anniversary instead of dinner at the French Laundry (oh darn!). I have Monday 17 June 2019, 5:15PM 2 seats available at face value via Tock. Looking for French Laundry reservations for 2 anytime April 9th – 11th, 2019. Will pay full value. My wife and I are looking for 2 lunch or dinner reservations for either 4/27, 4/28, 4/29 or 4/30. Please let me know if you have reservations you are unable to use. You can email me at ecfflkg@msn.com or call 401-741-9788. Seeking reservations for June 19-21, 2019, anytime for two. We are celebrating our 10th anniversary and tried to get tickets unsuccessfully. I appreciate you for checking! Hello! Looking to purchase reservations at TFL for 2 guests anytime on (or near) Sunday March 31st. Please contact me at cmargrave@breakoutgames.com. Thanks! Looking for a reservation for 2 people for dinner Saturday April 6 (4/6) or any time on Sunday April 7 (4/7). Will pay face value. Please email me jebarp at mac dot com if you are interested in selling. I missed the May/June 2019 rez window, so I’m looking for Party of 2 dinner reservations at TFL for Wednesday, May 29, 2019 -OR- Saturday June 1, 2019. Please txt or call 408- 398- 6729. Thanks! I’m looking for a reservation for 3 anytime on June 26-29th Will pay face value. Email me at mike.c.roper [at] gmail [dot] com. Hello, traveling to Napa solely for the food! I am looking for a Dinner reservation for 2 people on May 18th or 19th! I can be reached at Questionsnikki@aol.com/951-655-0137. Selling reservation for a party of 4. Looking to buy a dinner reservation for 2 person on Thursday 3/28 or Friday 3/29. My email is JohnRyanThomas@gmail.com if anyone has one to sell. Hello! I’m looking for TFL reservation for 2 people any time on any of the following dates: 5/4, 5/5, 5/25, 5/26. Please email me at tran.annamarie@gmail.com if you have a reservation to sell! Thank you! Looking for a table for 2 on 15 or 16th April. Visiting from england for the first time and celebrating our 10th wedding anniversary. I’m looking for a reservation for 2 for any nigh/dayt during the time period of 4/27, 4/28, 4/29 or 4/30. Please email if you have an existing reservation for transfer. Hello! I am looking for a TFL reservation for 2 people on any day between April 14 and 21 at anytime. I didn’t realize that French Laundry completely overhauled their reservation system! On Open Table, you could make it exactly 2-months in advance of the desired dates (though never managed to get a table for special occasions). This new system is very complicated! My ex will be here for a work conference and we have wanted to go to TFL for years! In the past, I bought him all of Thomas Keller’s books. He’s even been to Per Se on the East Coast, but I’ve only been to Bouchon Beverly Hills and Yountville. If anyone has a Dinner reservation on May 22nd at any time, please let me know. Happy to make the exchange on the Tock system. I’m looking to sell or trade a lunch reservation for two on Saturday, May 11, 2019 at 12:30pm. I am happy to work via the Tock system! Please contact me if you’re interested at ugill84@gmail.com. Thank you! I am looking for 2 people at the FLR for our 19 year anniversary !! Any time of the following days! If you have reservations to sale ! This reservation has been sold! Thanks! Hi all! LOOKING for a reservation for 6 on May 3rd or 4th. Will have a reservation for 4 on the 3rd at 5:30 to sell if we can find a larger res. Thank you! Email me at kmwhl @ iCloud.com if you have one to sell please! I’ll come back and post mine for sale if I find one. Looking for reservations at TFL at any time on April 4, 5, 6, 7, or 8. Reservation can be for 2 to 5 people. Please contact me via my email below. Any information would be greatly appreciated! I can be reached out imsmayer@outlook.com and will respond quickly. Thank you! Looking to BUY a table for 2 on April 6, 7, or 8th 2019. Please email me at d.g-v@hotmail.com if you have a table to sell. I will make transfer easy. I have a lunch reservation available for two on Saturday, May 11, 2019 at 12:30pm. I am happy to transfer via the Tock system for face value, $700.38. Please let me know if you’re still interested at ugill84@gmail.com. Thanks! Looking for a reservation for 2 for dinner at The French Laundry on March 12 or 13. Have a reservation for 3 on Saturday, June 8, to sell at face value. We have to move our Napa plans to the fall, unfortunately. Contact me if you are interested. Email: sabita_soneji@yahoo.com Thanks! I’m looking to transfer a reservation for dinner for two (x2) on May 2 (5/2). I would call Tock and/or The French Laundry about this and see if they may make an exception in your case, if you indeed make 2 reservations at once by accident online at the same time. If they have someone on the Waitlist it is possible they may be able be willing to do that, but it is up to their discretion since their policy is no refunds. But it doesn’t hurt to try, and if not, getting someone to take a reservation for 2 in May is not very difficult. You’ll likely find a taker here and can transfer in Tock for full amount you paid so you don’t lose any money. Hi! I am looking for a reservation for 2 people for anytime on May 24th, 25th or 26th. It’s our honeymoon and I got so busy with wedding planning that I completely forgot about the date for reservations opening up. Any help is greatly appreciated. You can contact me at geetaham89@gmail.com for the transfer. I’m looking for reservations for 2 for dinner on Saturday, 3/30. I’m looking to transfer a dinner reservation for 2 on June 4, 2019 at 8:45pm. I will do it through the Tock system for face value total of $700.38. Please contact me at msnadeau@aol.com if you are interested. This reservation has been transferred. Thank you! Looking for dinner for two on June 26, 27, or 28. Thank you! I have a reservation for 2 on May 5th 5:30 looking transfer to someone (we changed our vacation destination). Let me know if interested. Thank you. I’m selling my French Laundry dinner reservation for 2 for Friday, March 15, 2019, 5:15 PM. Hello, I have to cancel our Napa trip and I am looking to sell/transfer TFL (French Laundry) reservation for 4 for Monday, March 11, 2019 at 8:15pm. I would be willing to give a discount and offer all 4 for $900 total (original price $1,400). If you are interested please contact me directly at schoolguy12@gmail.com – Thank you! Hello. I’m looking for reservations at the French Laundry for 5/22 or 5/23. Trying to plan a surprise birthday dinner for my wife. Any help would be greatly appreciated. Email gnearpass@yahoo.com or call (585) 739-9390. Lmk if anyone can help, much appreciated!! I can be reached at suzy_perez@bellsouth.net or 305-986-4001. Saw this on CHowHound… good luck! Hopefully helping you will give me some good karma. No longer needed!! Convinced some friends to book a 5 seat table! Looking for a dinner reservation for 2 for 5/11, 5/12, 5/16, or 5/17. Please contact melinda.rickert@gmail.com. Looking for dinner reservation for any Saturday in June for dinner for a birthday. I called amex platinum concierge and even they were not able to help. It all sold out in seconds. Thank you Ashley, looking for dinner on a Saturday. Thank you though!! Hi Anne, Yes, the reservations go quickly. They are booked out that week already although there are still several other dates still open in May if you can do a different week. Or you can also join the online wailist for May 15th to try that way as well. BTW, if you want people to be able to contact you, you need to leave your email or phone number and also need to let people know what kind of reservation you want (e.g., for 2 people, 4 people, lunch or dinner). Requests without this information will eventually be deleted. Thank you! How do I join the online? I need a reservation for 2 and my email is aekennedy at gmail. Thanks! Hi! I’m looking for any reservations for 1 person on any of the following dates: 3/1, 3/3-3/6, 3/9-3/11. If anyone has dinner for 2 they’d like to sell 3/1/18-3/6/18, I’d happily buy it. Please reach me at frenchlaundryhelp@gmail.com. Thanks! Looking for any reservation in March except 8-10 and 22-24. email is emily.mortazavi@gmail.com. Thank you! This is Emily I am no longer in need a of a reservation. Got one on the waitlist! at the price we paid $1400. please let me know if you are still interested. Thank you for the offer but we were able to get I today from the wait list. Good luck! Looking for a lunch or dinner reservation on March 11/12. Email is sonjacps@gmail.com. Many thanks! I am looking for a 2 person reservation at TFL in March or April. It can be Dinner on Friday, Lunch or Dinner on Saturday, and Lunch on Sunday. Please let me know if you have something! I have a reservation for 2 on 3/7 at 5:30pm. My childcare backed out so we cannot make our trip. Can transfer via Tock. $700.38 is what I paid. Hope someone can use this reservation. Hi! Looking for any reservations from 4/4-4/6 if anyone is looking to transfer. You can email me at staciebpearson@gmail.com Thanks! I have a reservation for 4. Hello! I’m looking for a reservation for a party of 2 for anytime from 02/15/19 – 04/30/19 with the exception of 02/26/19 – 03/04/19. If you have a reservation you are looking to transfer, please feel free to contact me at ugill84@gmail.com. Thank you! I really appreciate it! if that would work let me know please. I am looking for a reservation for 2 for dinner any night from 2/15 to 2/17 for my wife and my 10 year wedding anniversary. Email is pkajones69@yahoo.com. I have a reservation for 2 people @ 5:15 pm on Saturday March 2 that we can’t make anymore and I’m interested in trading with anyone who might have a reservation for 2 people for any other weekend day over the next couple of months. I have reservations on March 4th at 5:30 for two people that I would like to sell/transfer through tock. My email is debhammond@gmail.com. If no one can trade w/you I would like to take your table. I’m trying to surprise my husband for our anniversary which is March 2nd. Just let me know if that’s possible. I am looking for reservation for 2 on March 2. I don’t have reservation to trade, but would buy yours if you still have them. We will only be in Napa Valley for that weekend. A friend just told me that they had reservations for this month on his birthday. Nonchalantly I checked out TFL’s website and saw 2 openings to my surprise after 9 years of wanting to go and almost giving up hope. Of course I booked a reservation just like that! Hope every penny will be worth it! For those looking you just never know. Hello, I’m looking for a table for 2 for dinner between 2/15-2/18. Thanks! It would be a wonderful surprise! Hey Jason! I’ve got a reso for 2 on April 7th at 8:15pm. I just got a new job and taking Monday off the next day isn’t really an option anymore so I am letting this reso go even though I was SO proud of booking it. You want? I’ll email you too. I’d be real happy to pass it along. Yes! I just responded to your email. It is still available? If so, I would liked them, looking to BUY a table for 2 on April 6, 7, or 8th 2019. I’m search of two anytime from 4/17-4/22. Will be happy to use tock. Looking for reservation for 4 on 4/20/2019 or 4/27/2019 for Dinner. Please let me know if you have availability to transfer. Looking for selling FL reservation for 2 for March 4 2019, 5:15 PM. Ready to transfer via Tock on cost basis. My GF and I looking for reservations time from January through April. Please let me know if you are interested in switching reservation. Looking for reservations for 2 on 2/15, 2/16, or 2/17. Please contact me at roxyblue@gmail.com if you would like to transfer your reservation. Thank you! Looking for TFL reservation for 2 between Saturday 3/30 – Monday 4/1. Please email elliott.g.brown@gmail.com if you have anything available! Looking for a table for 2 for either 1/27 or 3/3, preferably dinner time. Please, send me an email to reditor@ya.ru , if you want to transfer yours. hello there ! thank you for this wonderfull blog it gives the informations we need to plan our visit to Napa! Looking for a reservation for two any TIME/DAY in April other than Sundays. Looking for reservations for 2 on 3/15, 3/16, or 3/17. Please contact me at tokibabe@gmail.com if you would like to transfer your reservation. Thank you! My wife and I are looking for a reservation for Jan 26 or 27. She is having surgery after that date that will not allow her to enjoy a meal such as this for over a year or two. I would really like to take her here as a treat, before this surgery. Please let us know (elizabeth@frmrisk.com) if you are interested in selling for these dates! Looking for The French Laundry reservations for 2 for March 8th, 9th or 10th. Any time- even lunch. Please let me know if you have this and can’t go! I’m looking for a reservation for 2 for any time on 2/2, 2/3, 3/2, 3/3. Please email if you have an existing reservation for transfer. I’m looking for a reservation for 2 for any night during the time period of 4/27, 4/28, 2/29 or 4/30. Please email if you have an existing reservation for transfer. Hi, I’m looking for French Laundry dinner reservations for a party of 2 during the weekends of March 8 or March 15. I can be reached at mguerrero424@gmail.com. Thank you! Looking for French Laundry reservations for Jan 26, 27, 28 for party of 2. Please email me at Wrigley1620@gmail.com if you are looking to sell. Thanks, Brian. Did you find a reservation for French Laundry on Jan 26 /27 yet? No we did not, just saw that you responded or would have gotten back to you sooner. Hi Danielle, is this reservation still available? We have a reservation at The French Laundry for February 26 at 5:15 for a party of 4 that we need to sell at cost and transfer using Tock. The price is $1,400.75. Please contact me if interested at Lnotar@cox.net. I’m looking to sell a TFL reservation at face value for 2 on 2/1 Lunch at 12:30. If interested, email me at adam.i.gitzes@gmail.com. I will happily work through the Tock system. Thanks! This has been sold and no longer available. Please contact me at enpu.david.zhang@gmail.com Thank you! Looking for reservations for 4 February 8th or 9th! Looking for a reservation at French Laundry for 4 people on January 26 or 27, 2019 for dinner! It’s my mom’s 60th birthday and she would be beyond thrilled if I can make this happen for her! My email is eujolee@gmail.com Thank you! I’m looking to sell and transfer my TFL reservations at face value ($700.38) for Saturday, February 23, 2019 at 11:45am for 2 people. We sadly cannot make it anymore. Please email cthai88@gmail.com if interested. Im looking for a two people TFL reservation any time and any day on or after January 2nd, 2019. Looking for a reservation for a Saturday for 2 ppl for dinner for dec-feb. Please let me know if you are looking to transfer! Looking to transfer a reservation through Tock for 2 people on Sun Dec 16 at 845 pm since we can’t make it anymore Please let me know if you’re interested in this! I am looking for 2ppl any time on Mon, Tues,, or Wed February 4th, 5th or 6th. Hi Tracy, I am very sorry to hear that you were given inacccurate information from your hotel. Yes, reservations are released online on Tock from 2 months from the release date to 4 months from it. Available tables are currently released every 1st day of every odd numbered month (January, March, May, July, September, and November), 2 months at a time. So for example tables will released on January 1st for those wanting to book from March 1st through April 30th. Hope you are able to find a reservation for your husband’s birthday. Readers post on here almost daily so keep checking back as well. Looking for table for 2 at the French Laundry on February 15 – 17. If you have reservation through Tock, that would be great. Thanks! Hi. I am looking for TFL reservations on December 08 anytime for two. Please let me know if anyone has any to sell. james.irungu@gmail.com. Thanks. Need a reservation for 2 or 4 for any date Dec. 24- Dec 28th. Will pay a finders fee! Please email me at michelle.n.mandell@gmail.com. Thank you! Looking for a reservation anytime the weekend of Feb 16-17. Please email me at scuamanda@yahoo.com if you have a reservation to sell via Tock. Thanks! Hi everyone – I plan to be in Napa on 12/21 with my best friend visiting from Australia. Does anyone have 2 tickets available to sell? Lunch, dinner, anytime! I have a reservation for 4 on December 4th, 5:30 pm that I need to sell and then transfer via Tock. The price is $1400.75. Main dining room. Please email me at mann.kristin@gmail.com if interested. [Sell] Have reservation for 1 person for The French Laundry on Fri 12/14/2018, 11:45 AM . Available at cost. Reservation transfer go through Tock. text 213-839-9621 or email holicsilk@gmail.com. Thanks! Trying to celebrate my 30th – anyone selling 12/12-12/14 for 2 – please! Thanks! I am looking for reservations for 2 at the French Laundry, dates between Feb 24-Feb 28. Its for my (soon to be) husband and I’s honeymoon. If anybody could help we would be so grateful!! Hi, looking for reservation for 2 for dinner on 15 Dec or any service 16-20 Dec please. kindly email me at charmaine.kngqm@yahoo.com. thanks! I am looking for a table for 2 on November 30th or December 1st. Please email me at milena.cuk@gmail.com if you would like to sell your tickets. HI! Looking for a reservation in the evening any day between November 23-26 for 2 people. Please email if any one is willing to sell theirs. This reservation has been transferred and is no longer available. I have a reservation for 2 people on Friday, December 21, 2018 at 11:15 AM. Email: treviny@gmail.com if interested. I am selling at original price. Hi, I am looking for a reservation for 2 people on a Friday (night), Saturday (day or night), or Sunday (day). Any weekend from Nov 30 – Dec 16, or any weekend after January 10th will work. Please reply here and/or email me at frog139@comcast.net. Thank you! I have a reservation for 2 people in the dining room on 29 January 2019 at 8:45pm. I no longer need this and would like to sell it. If interested l, please contact me at singer.jw@gmail.com and we can make the transfer via tock. I am interested! I just sent you an email. Thank you! Hoping to get extremely lucky and see if anyone has dinner reservations available next week November 15th/16th. marti868@gmail.com. Hi – I have a table for 2 at The French Laundry for this Thursday 8th November at 8pm for their special white truffle and caviar evening which my boss can no longer attend. If you are interested, please contact me on cdassistant@mediafinancecapital.com. I have 4 tickets to sell for dinner at 8:30 p.m. on New Year’s Eve!! Please contact me at stefiekam@gmail.com if interested. Payment will be handled through the French Laundry reservation system Tock. I am looking for reservations at FL for a party of 2 on any day from January 31st – February 2nd. If anyone is interested in selling, I’m ready to buy. Klcimmino@gmail.com. Thanks! Selling at cost ($700.38) a reservation for 2 on Monday, February 25th at 5:30PM. Please reply to this comment. Thanks! Very interested!! Would we do it through the app? Looking for a dinner reservation for French Laundry anytime, November, December, January, February….. on a Saturday for two. We live fairly close and can easily make it into a weekend. I have a reservation for Monday, February 25th for two if you are interested. Ashley do you still have this reservation available? I am looking for a reservation at The French Laundry for 2 people for dinner December 28, 29, or 30. Looking for a reservation for two at The French Laundry on November 30th, December 1st or 2nd. Please contact Libby.smoler@gmail.com. Thank you!! I have an FL reservation for 4 people on November 26th, 2018 that I now need to transfer. Please message me at: nicholeamberg@gmail.com if you are interested. Looking for a TFL reservation for 3 or 4 for December 21 for dinner. It’s my parents 50th wedding anniversary and would love to surprise them. I’m looking for a reservation for November 16 (lunch or dinner), 17 (lunch or dinner) or 18 (lunch). Let me know if anyone has one to transfer. Thanks! Hi! I am looking for French Laundry reservations for dinner on November 24th for 2. I planned a trip to Napa because my sister had an additional reservation but hers sold before I knew I could join. I would greatly appreciate any help. Please email irina2103@gmail.com. Hi, looking for a TFL reservation for lunch/dinner for oct 19 and lunch for oct 20 for 2 pax. Please email minhui@stanfordalumni.org if you are looking to sell your reservation. Thanks! We are travelling to Napa from Australia for Christmas and would love a lunch or dinner reservation for 3 people on Sunday, December 23. Will pay finder’s fee. Please contact me via shlubucek@gmail.com if you can assist. Thanks! Hi. I am looking for reservations on December 08 for two. Please let me know if anyone has any. james.irungu@gmail.com. Thanks. I’m looking for a reservation for one October 30th, 31st, November 1st, 2nd, or 3rd. Hi! I’m looking for a reservation 2 people anytime between Oct 31 – Nov 8. Please email me at wtang@boozann.com – thanks! Hello – just sent you an email in case you’re still looking! We have a reservation we can’t use on Sun, Nov 4th at 11am for 2. If you still have the Nov 4th reservation could you email me at jelacy@gmail.com? Hello, we are selling the following reservation for the price we prepaid. Please contact me at arenda@roico.com if interested. Thank you! I sent you an email regarding these tickets. Would you please let me know if they are still available? Thank you. Hello! I’m looking for a dinner reservation at TFL for 2 people on December 22 or 23rd to celebrate my husband’s birthday. I am looking to celebrate my 70th birthday and am looking for a 5 person reservation for or around Feb. 23. Hi Sanjay, February dining reservations are not being taken yet so no one will be able to offer them on here. 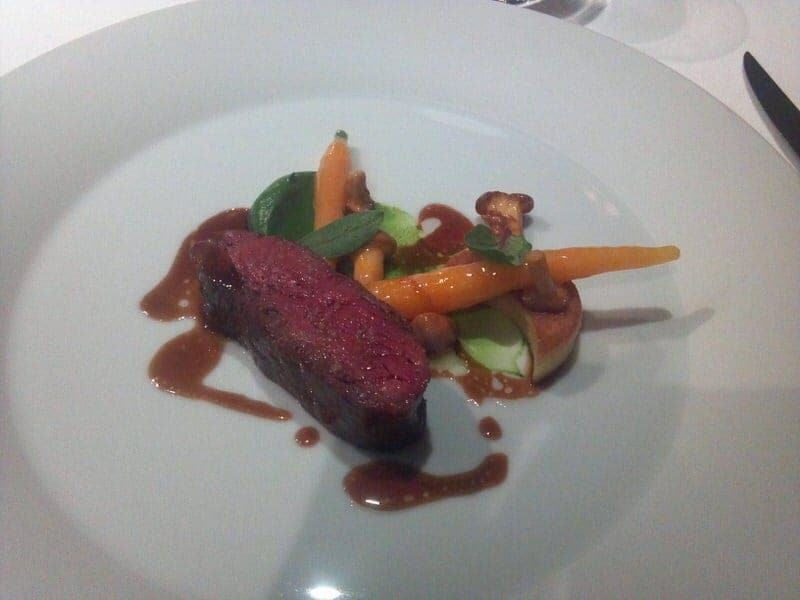 So you still have time to book online via Tock and get a reservation yourself. I recommend that you read over the article for details and sign up to Tock. Hi, I am looking for 2 French Laundry Lunch reservations for October 27, 2018 Please email me at: jasleen.saini@gmail.com. I am looking for a reservation for 2 anytime 10/29 – 11/3. Email is lbaehr@comcast.net. Thanks! Hi, I am looking for 2 French Laundry reservations for any date until the end of December. Please email me at: uram.emily@gmail.com. Will pay transfer / finders fee if necessary. Hi Emily, You probably already saw these, but there are a few people offering reservations at The French Laundry that would work for your dates that have commented below. A good place to start, if you haven’t already done so, is by contacting those folks to see if they still have reservations. Hi I am looking for 2 French Laundry reservations for either October 13, 14, 15, 16, 17, 18, or 19th. Very special birthday for bucket list. Please email me at: marcihr@aol.com. Thank you. Marci. We have a reservation on October 4 @ 6:30 pm for a party of 6 for sale. We would transfer the reservation under the Tock system for the price paid, OBO. We had to cancel our trip to Napa this year and are hoping to not lose money on this reservation. Email emilybrouillette@gmail.com or sarat726@gmail.com for info. Selling: French Laundry Reservations for 2 people for December 13, 2018 at 5pm. Email schonmei@gmail.com if interested and I’ll transfer at cost via Tock! Hello! I would LOVE to take your reservation in order to celebrate my husband’s 40th birthday and go to his dream restaurant! Hope your reservation is still available, thanks so much! IS the December 13th reservation for two still available? Interested. I am looking for TFL dinner reservations for November 9 or 10 for party of 4. It is my wife’s 40th birthday. Please email me at jonghwoo117@gmail.com if you are willing to sell. Will pay transfer / finders fee if necessary. Thank you!! SELLING – I have a reservation at The French Laundry for 4 at 8:30pm on 11/30 that I am looking to sell at cost. Please contact me at cyrellaw@hotmail.com if you are interested. Lookin for something at The French Laundry November 9 or 10th for our 10 year wedding anniversary. Will pay a finders fee as well. Looking for a reservation for dinner for 2 in October 2018 to celebrate 21st year anniversary. Any dates on Oct 5,6,12,26,27 or Nov 1 or Nov 2 will work. Thanks in advance. Looking for a reservation for 3 on Nov 3,4 or Oct 27,28! Please email me at jasminegiang@gmail.com – thanks! I have a French Laundry reservation for 2 on Friday, November 16, 2018 at 11:15 AM (Lunch time) and am looking to sell. I would utilize the “transfer” option in the Tock reservation system and would simply charge what I Paid for them ($700). Please e-mail me if interested at pfrederiksen@me.com. Thanks! Need a reservation for 4 on November 2, 3, 4 or 5. Will pay finders fee. Thanks! Looking for a reservation for 4, either November 9th or 10th 2018, for dinner. 209-765-2401. Victoria Gaffney. Hello Sara, I’m looking for a reservation for a party of one on Thursday October 4, 2018. I have a reservation September 19 at 8 pm for 2. Let me know if you’d like to buy it – early for your needs but it’s available. Anneliseconway@gmail.com. Thanks that i found this article this really answered my question! I have a reservation for July for 2, email: Anastasianekeasova1@gmail.com if interested. I am selling at original price. do you know when the french laundry closes during the winter, as we are hoping to eat there around the 10th January 2017. we are travelling from the UK on our honeymoon. Excellent roster of tips for gaining a reservation at French Laundry, or any in-demand restaurant. Nice post – thanks for sharing your insights. We are happy to have gotten so much feedback that this article has been useful for people. Yes, I guess these tips are actually applicable to how to get almost any hard to get restaurant reservation. I dugg some of you post as I found them to be extremely helpful. Thanks! Hi Phen, thanks for uploading some of our posts to Digg. We certainly appreciate it!